The Ilarvirus Group PCR primers offer a sensitive diagnostic method to detect members of the Ilarvirus genus of the Bromoviridae family. The primer sequences are based on conserved genome regions and can detect characterized and unassigned members of the Ilarvirus genus. This test can be used as an aid for identification of viral etiology of unknown plant diseases, test for known viruses when other tests are not available and can be used to confirm results from other test methods. For a full list of confirmed and predicted reactions, click here. 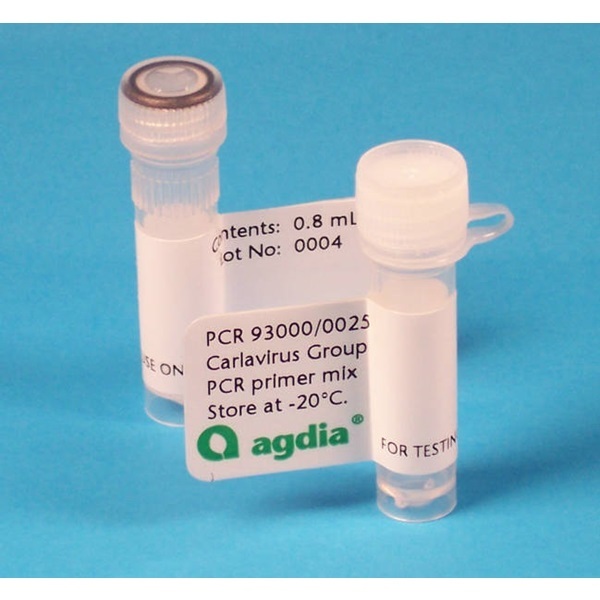 The Ilarvirus Group PCR primer product includes a lyophilized mix of forward and reverse primers, PCR quality water and detailed instructions. Disclaimer of License: This product is optimized for use in the Polymerase Chain Reaction (PCR) process covered by patents owned by Hoffmann-La Roche, Inc. and F. Hoffmann-La Roche Ltd. Purchase of this product does not include the license under these patents to use the PCR process. This product is recommended for use in conjunction with an authorized thermal cycler. 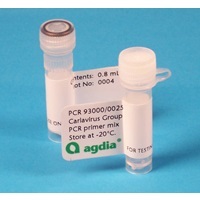 This test reacts with a variety of viruses from the Ilarvirus genus. The list below represents Ilarviruses that have been experimentally detected with our Ilarvirus PCR and confirmed by sequencing. If you have confirmed detection of an Ilarvirus not on this list, please contact us. For viruses predicted to be detected, click here. This test reacts with a variety of viruses from the Ilarvirus genus. The list below represents Ilarviruses that have not been experimentally detected, but based on in silico analysis, will likely be detected with our Ilarvirus PCR. If you have samples of these pathogens below, please contact us.